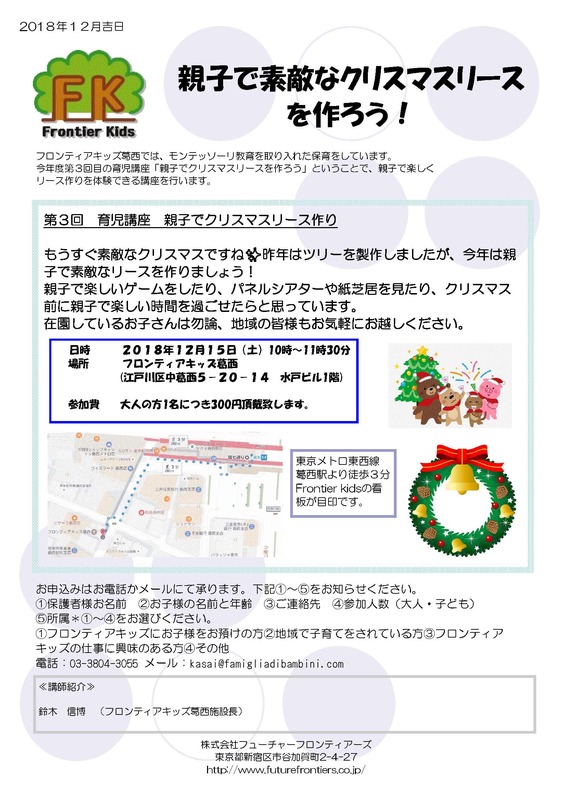 By saying "Let's make Christmas wreath with parent and child!" I tried to consider production. Enjoy making things with parents, playing fun games, watching panel theaters ... I would like to have fun time with parents before Christmas. Please feel free to come and join the community.